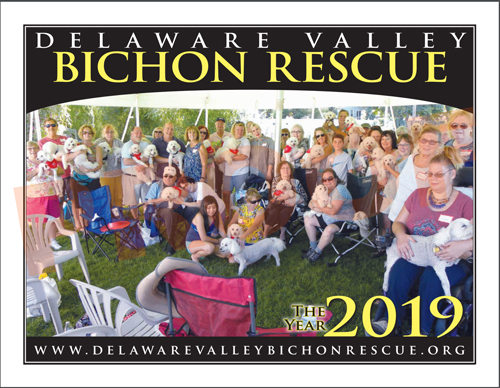 Delaware Valley Bichon Rescue is a non-profit 501(c)3 volunteer organization dedicated to helping bichons and bichon mixes who have been abused, neglected, abandoned, or surrendered by their owners... OR who find themselves at a shelter, looking for a new home. When you shop at smile.amazon.com using the link below, Amazon donates a portion of your sales to DVBR! 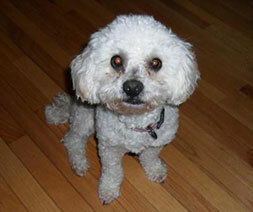 Delaware Valley Bichon Rescue is a non-profit organization that depends ENTIRELY on the public for donations. We receive NO funding from any government agency. Our only source of income is you... our fellow dog-loving friends! DVBR pays for ALL vet care for each dog prior to adoption. Anything that needs to be done is taken care of before the dog is placed. Get your 2019 DVBR Calendars! Featuring your favorite rescued fluffs! Click here for a preview. $22 each; make checks payable to DVBR, 711 Chapel Ave., Cinnaminson, NJ 08077, or use the Paypal link below! Be a part of the solution... adopt a homeless pet! Wally is a dancer, very funny, and can make us laugh! I follow my foster mom everywhere  and I love cuddles and playing! We're bonded brothers who will stay together. Cuddles, but no cats, please! I'm 100 percent house trained and 150 percent full of energy! I love belly rubs and pets and attention! On rare occasions, we also take in other breeds, primarily when they come as part of a PAIR along with a bichon. We serve families as far north as Massachusetts, as far west as Ohio, and as far south as North Carolina. The region where MOST of our activity occurs is the Pennsylvania, New Jersey, Delaware region  also know as the "Delaware Valley." Our offices are situated in New Jersey, but our rescue efforts are far-reaching! If you are interested in adoption outside of our region, please visit www.bichonrescue.org to locate a volunteer or organization closer to your own geographic area. If you are interested in helping our cause, there are a variety of ways you can do so. Contact us for further information about various volunteer options or click here to make a donation to our cause. 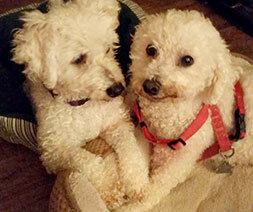 Bichons are surrendered to our rescue organization for a variety of reasons, including divorce, birth of a new baby, lack of training during puppyhood, and many other reasons. While some bichons have serious health or behavioral issues associated with neglect or abuse, most are "regular" pets who can no longer stay with their families. We endeavor to find the best possible home for each and every dog we take into rescue. Prospective adopters should bear this in mind and try to be patient as we review each application and evaluate each dog's personality to find the BEST possible combination. 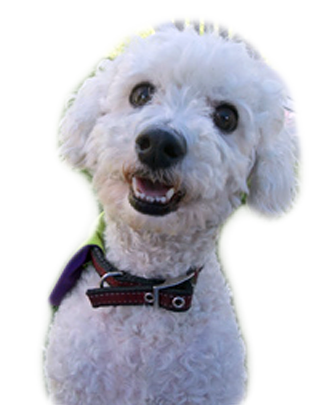 The average stay for a bichon is about 6 to 8 weeks; this gives us the opportunity to fully evaluate the dog's individual personality and needs, and also affords us the opportunity to complete our screening process with each interested family. Is a Bichon Right For You? 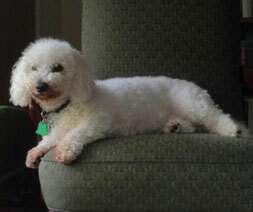 Bichons require large amounts of exercise and companionship in order to remain happy and healthy. While it is true that bichons do not shed, this does NOT necessarily mean that a person with allergies can live with a bichon. Allergies can be caused by dander, saliva, or other things. In addition, bichons are a high-maintenance breed. They require daily brushing and frequent professional grooming. They often live 18 - 20 years and beyond, and nearly ALL of those years are quality, puppy-like years. Thanks to the Rudolp Family of Lancaster, PA or their donation in memory of Snowy Rudolph. Thanks to the Hoguet Family of Mt. Laurel, NJ or their donation in memory of Ronald Lefevre. Thanks to the Menchavez Family of Bethpage, NY for their donation in memory of Beau. Thanks to the Marcovitz Family of Brooklyn, NY for their donation in memory of Doris Plumley. Thanks to the O'Malley Family of Toronto, Ontario, Canada for their donation in loving memory of JoAnn Folz. Thanks to the Lopez/Russo Family of Lansdale, PA for their donation in memory of Adorable Arnie and the incredible impact he made on the lives of so many people. Thank you to the Foster Family of Mt. Ephraim, New Jersey for their donation in memory of JoAnn Folz. Thanks to the Patrizzi Family of Providence, Rhode Island, who made a generous donation: "in memory of Sam, our one and only 'buds', who will live in our hearts forever." Thank you to the Stanulis Family of Delanco, New Jersey for their donation in memory of JoAnn Folz. 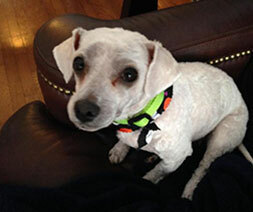 Thanks to the Potter Family of Middletown, Delaware for their donation in memory of Peanut. Thanks to the Scardino Family of Shamong, New Jersey for their donation in memory of JoAnn Folz. Thanks to the Ackerman Family of Meadowbrook, PA for their donation in memory of Lavon Lisman, brother of Kobi. Thanks to the Eisenberg Family of Wyncote, PA for their donation in memory of Lavon Lisman. Thanks to the Krempecke Family of Johnson, Vermont for their donation in honor of John, Theresa and Daunte Lesko. Thanks to the Rudolph Family of Lancaster, PA for their donation in memory of Snowy Rudolph, who passed away 12/11/2011. Thank you to the Smith Family of Mililani, HI for their donation in Elain Scharfeld's name. Thank you to the Dartt Family of Statesboro, Georgia for their donation in memory of Doris Plumley who recently passed away. Thank you to the Levin Family of Glassboro, New Jersey, for their donation in memory of Bailey Batman Bressler. Thanks to the Weinstein Family of Delray Beach, FL for their donation in memory of Kenneth Friedland. Thanks to the Ackerman Family of Meadowbrook, PA for their donation in honor of Lavin, Snowy, and Celia Lisman. Thanks to the Magee Family of New Brunswick, NJ for their donation in memory of Kenneth Friedland. Thanks to the Friedman Family of Trenton, NJ for their donation in memory of Kenneth Friedland. Thanks to the Levine Family of Yardley, PA for their donation in memory of Kenneth Friedland. Thanks to the Blumenfield Family of Trenton, NJ for their donation in memory of Kenneth Friedland. Thanks to the Gillespie Family of Lawrenceville, N.J. for their donation in memory of Kenneth Friedland. Thanks to the Rudolph Family for their donation in memory of Snowy. Thanks to the Bohnenberger Family of Lansdale, PA for their donation in memory of Teddy and Tyler Bohnenberger. Thanks to the Schlegel & Seitz families for their donation in memory of Donald V. Teschner. Thanks to the Rolli Family of Philadelphia, PA for their donation in honor of Jean Lisman. Thanks to the Fischetti Family of Philadelphia, PA for their donation in memory of their mother Judy’s dog, Cerci. Thanks to the Gottfried Family of Philadelphia, PA for their donation in memory of Lewis Lisman. Thanks to the Wenger Family of Richboro, PA for their donation in memory of Lew Lisman. Thanks to the Oppenheimer Family of Meadowbrook, PA for their donation in memory of Lew Lisman. Thanks to the Bruno Family of Berlin, NJ for their donation in memory of Lew Lisman. Thanks to the Byer Family of Ambler, PA for their donation in memory of Lew Lisman. Thanks to the Ackerman Family of Meadowbrook, PA for their donation in memory of Lew Lisman. Thanks to the Rudolph Family of Lancaster, PA for their donation in memory of Snowy Rudolph. 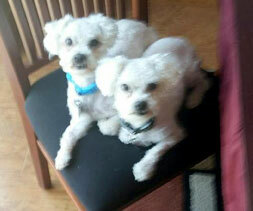 Thanks to the Ackerman Family of Meadowbrook, PA for their donation in honor of Lavon & Snowy Lisman & Kaycee the bichon. Thanks to the Lisman Family of Meadowbrook, PA for their generous donation to help offset the costs associated with “Gracie” a puppy mill bichon we recently rehomed. Thanks to the Davis/Gentul Family of Lewes, DE for their donation in memory of Trixie and Lily. Thanks to the Button Family of Reading, PA for their donation in memory of Chloe. Thanks to the Lubin Family of Blue Bell, PA for their donation in honor of their dog Coco's 11th birthday. Thanks to the Archer family of Dauphin, PA for their donation in memory of Amazing Grace, Mia, and Baylee. The Rabens family for their donation in memory of Letitia Beattie and 'Pepe'. The Russo Family of Jersey City, NJ in memory of Beau Bear Button. The Porcello Family of Toms River, NJ in memory of Letitia Beattie. Thanks to "The Birthday Club", "Pokeno Ladies" and Frank, Stephanie, Frankie and Cooper Kropf for their donation in memory of Letitia Beattie. Thanks to the Lisman Family of Meadowbrook, PA for their donation in memory of Kobi Ackerman. Thanks to the Vogt Family of Arlington, VA for their donation in memory of Pascal Kostrich. Thanks to the Barnett Family of Wilmington, DE for their donation in memory of Teddy's 16th birthday. Thanks to the Steiner/Kostrich Family of Alexandria, VA for their donation in memory of Pascal. Thanks to the Jackson Family of Robbinsville, NJ for their donation in memory of Winnie Brown. Thanks to the Schmitt Family of Allentown, NJ for their donation in memory of Winnie Brown. Thanks to the Vescovi Family of Trenton, NJ for their donation in memory of Winnie Brown. Thanks to the Frost Family of Pennsauken, NJ for their donation in honor of Kris Foster. Thanks to Wilbur Foster for his donation in honor of Kris Foster. Thanks to the Esbitt Family for their donation in memory of Frank Meyer, his beloved dog Lucus, & Raven. Thank you to the Keystone Bichon Frise Club for their donation in memory of Frank Meyer. Thank you to the Gryan Family of Hockessin, DE for their donation in memory of Frank Meyer. Thank you to the Lubrano Family of Burlington, New Jersey for their donation in memory of Ted Santucci. Thanks to Laverne Grooms of West Columbia, SC for their donation in memory of Ann McCurdy. Thanks to Tracy & Billy Grooms of Charlotte, NC for their donation in memory of Ann McCurdy. Internal Revenue Service pursuant to Section 501(c)3, et seq. of the Internal Revenue Code. All donations are 100% tax-deductible.